In the 16th century Ukraine, the Polish overlords and the Cossacks fight for control of the land but frequent Turkish invasions force them to unite against the common Turkish foe. Kashma Baba, the son of the famed Baghdad thief Ali Baba is a cadet in a medieval Persian military academy where he runs afoul of his rival Hussein, the evil Caliph's son. Cognac, a pampered poodle and popular star on French television, creates marital problems for his pretty owner Giselle when he becomes jealous of her new husband. In 13th-century Tangiers, regent Mustapha hires a paid assassin to kill baby Prince Hussein in order to usurp his throne but the assassin has second thoughts and steals the baby for himself. Tony Curtis plays an Indian (Nicknamed "Chief" by other soldiers) who fights in WWII and helps to raise the flag at Iwo Jima. Eddie Darrow, seeking a mobster's widow in Macao, gets involved in a casino owner's affairs. In 1803 France, Napoleon orders the capture of notorious highwayman 'Purple Mask' who routinely rescues imprisoned nobles and harasses the Revolutionary officials. The emotional story of a lifelong friendship between a Boston rookie cop and a young street-wise delinquent. Taras: There's only ONE WAY to keep faith with a Pole. Put your faith in your sword and the sword in the Pole. 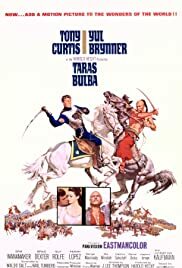 "Ride Like A Cossack, Fight Like A Cossack"
Although the famous Nikolai Gogol novel, Taras Bulba, was filmed many times, this version starring Tony Curtis and Yul Brynner is the best known at least in the USA. It's an exciting portrait of 16th century Ukraine under the then powerful kingdom of Poland. What's strangely muted in this version though is the religious angle. The Poles are Roman Catholic and the Ukranians are Russian Orthodox, it's a very big part of the reason for the resentments shown here yet we never see the religious beliefs portrayed for either group. Not sure why the script didn't include it. As rulers the Poles hire out the Cossack Ukranians who in today's terminology might be considered a paramilitary outfit to fight off the Ottoman Turks and then turn on them. Yul Brynner as one of the Cossack brigade commanders lops off the right hand of Guy Rolfe, the Polish prince in retribution, but that hardly satisfies. He goes back to the steppes of the Ukraine and awaits a time for some real payback. In the meantime he fathers two sons, Tony Curtis and Perry Lopez, who both inherit their father's geopolitical views. Brynner sends them off to school in Poland to learn all the Poles know. While there Curtis falls in love with a Polish princess Christine Kauffman. It's the beginning of his downfall as a Cossack. In his memoirs Tony Curtis says that Yul Brynner was a strangely aloof character with a sort of self imposed grandeur about him in his manner. But that Taras Bulba was a part he was born to play. 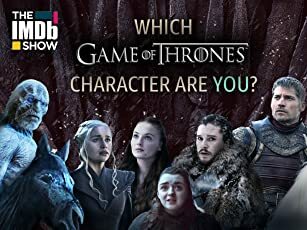 I certainly can't visualize anyone else in the role, including Burt Lancaster who originally had the screen rights then gave them to Tony Curtis when he couldn't do the film. Of course Brynner being in the title role might have had some resentments to being second billed to Curtis, but Curtis in fact as a co-producer and he who produces decides billing. Curtis also mentions that on the Argentine pampas location away from American laws, the long banned 'flying W' was used in the filming of the battle and charge scenes and many horses were killed. He also mentions that with production overrun costs and accountants ripping him and the film company off what started as a three million dollar film became a nine million dollar film and Taras Bulba in theatrical release barely cleared ten million. However Tony did get a second wife out of the film. Christine Kauffman became the second Mrs. Tony Curtis after the film. Curtis says that Christine did not break him and Janet Leigh up, that things were over before he met here, still that was the common gossip back in the day. Director J. Lee Thompson made great use of the Argentine pampas standing in for the Ukraine steppes and one does get a feel for the Cossack love of the land the freedom of the wide open spaces. Cossack stories in the Ukraine are just like our American westerns. Those people for all their faults settled and conquered much of what is now Russian Federation. As a bonus Franz Waxman's musical score which did earn Taras Bulba it's only Academy Award nomination is really quite rousing. We get to hear Yul Brynner sing in this film which is a treat, a Cossack drinking song. And the love theme for Curtis and Kauffman, The Wishing Star, is a very beautiful song that Tony Martin put on an album of film songs he did at the time. Ukranian Americans loved this particular film for which I can personally attest. I think others will as well.